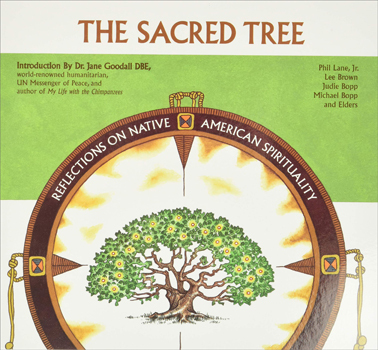 The Sacred Tree was created by the Four Worlds Development Project, a native American inter-tribal group, as a handbook of Native Spirituality for indigenous peoples all over the Americas and the world. Through the guidance of the tribal elders, native values and traditions are being taught as the primary key to unlocking the force that will move native peoples on the path of their own development. The elders have prophesied that by returning to traditional values, native societies can be transformed. This transformation would then have a healing effect on our entire planet. This handbook is being used by the Four Worlds Development Project to eliminate widespread drug and alcohol abuse in tribal communities. It is now being shared for the first time with all members of the human family desiring personal growth.